Each year, a beautiful wildflower meadow is sown in the grounds of the hospice to celebrate the lives of those people we loved, and still love, dearly. It becomes the most soothing place to sit, remember and reflect in peaceful surroundings. Choose from the list of carefully selected flowers below and make a dedication in memory of someone special. 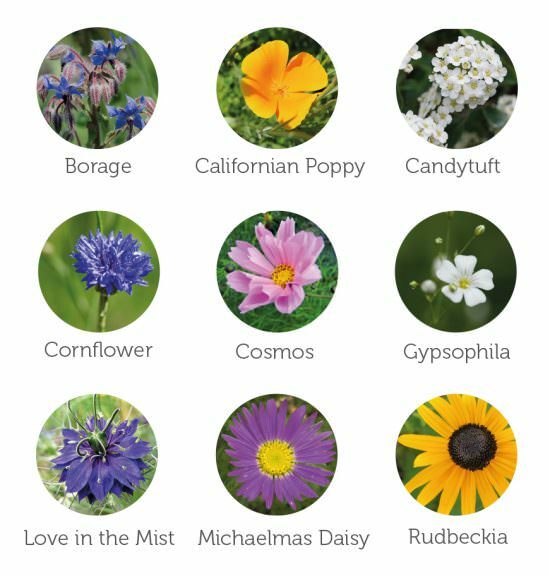 Your seed(s) will be sown around the beginning of April depending on the weather conditions at the time, and the meadow will flourish and bloom over the following months. The invitation to dedicate a flower is open to all, not just those touched by Rowcroft’s care. If you wish to make a dedication over the phone or by post, please contact our Meadow of Memories campaign officer by calling 01803 217450 or email [email protected].